OCTOBER 2007 -- Here it is the beginning of Fall. Your Grange should be implementing your planned activities that were made in the previous months. What type of Community Service projects have you started to help your town? Remember to get the word out to the general public on your Community Service activities. 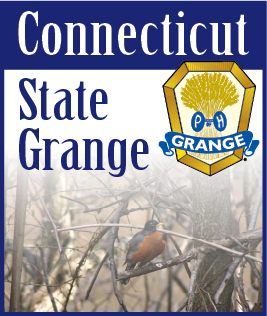 By telling the general public of your activities in your community we hope to change the image that the Grange is not just an organization of old farmers. Be positive. Start with small project B do a good job B then go on to bigger and better things. It takes time. You have to persevere and with a little hard work you can make your Town a better place to live. That is when people will be asking you about Grange membership. The average person wants to belong to a winning team. So, make your Grange a winner. Paint a good picture of it in your articles to your local newspaper. Good Luck, and, let me know of your success stories so I can share them with others.